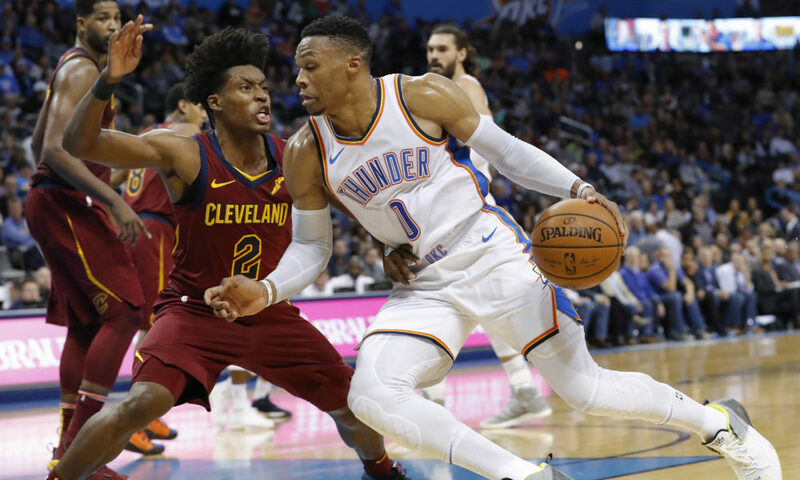 OKLAHOMA CITY, Okla. — The much discussed post-game Russell Westbrook shooting session paid off tonight in a 100-83 win over the Cleveland Cavaliers (4-16). 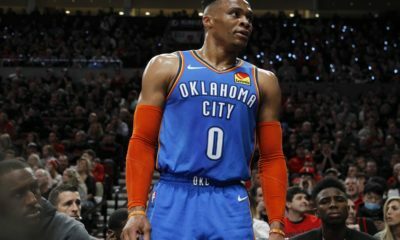 After an abysmal performance on Saturday which saw Westbrook shoot 1-for-12 from beyond the arc, the Oklahoma City Thunder’s (13-7) leader played efficiently and picked his spots on the floor. Ultimately leading to his third triple-double of the season, finishing with 23 points on 10-of-17 shooting (2-of-5 from three), 19 rebounds and 15 assists. It was Westbrook’s 107th all-time triple-double. He is now tied with Jason Kidd at third all-time in league history. This was Westbrook’s 760th game since joining the NBA in 2008. Kidd accomplished the feat in 1,247 games. “I just play,” Westbrook said in the locker room. “To be mentioned with names like Kidd, Oscar Robertson and Magic (Johnson) it’s an incredible blessing. The task wasn’t easy. The Cavaliers made the Thunder work for it early on. Cleveland was heating up from three, hitting six of their first 10, while Oklahoma City missed shots in the paint in bunches. At one point, the Thunder were only hitting 40 percent of their shots in the paint. It would be Jerami Grant who would spark the Oklahoma City offense and defense. The first-year starter had 13 points in the first half to go along with a few blocks and a handful of great defensive possessions that kept Cleveland from extending their 11-point lead in the first half. Grant finished with a season-high 21 points on 8-of-12 shooting. At 19 rebounds, Westbrook was a rebound shy of tying his career high for a single game. 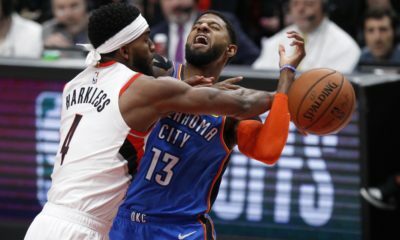 The performance was the cherry on top of the Thunder’s action on the glass. The third quarter saw Oklahoma City out-rebound the Cavaliers by 10. 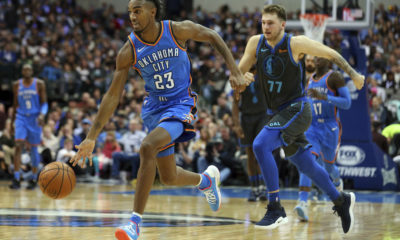 The third quarter was another example of Oklahoma City’s dominance after the second half, twenty games into the season. The Thunder held Cleveland to just 15 points after being tied at 47 heading into the locker room. Oklahoma City dropped 26 points and never looked back. This season, the Thunder are outscoring opponents 29-25 in the third and are 13-5 when winning the quarter. They have tied opponents in the third quarter twice. The Thunder will return to Chesapeake Energy Arena Friday night when they take on Trae Young and the Atlanta Hawks.